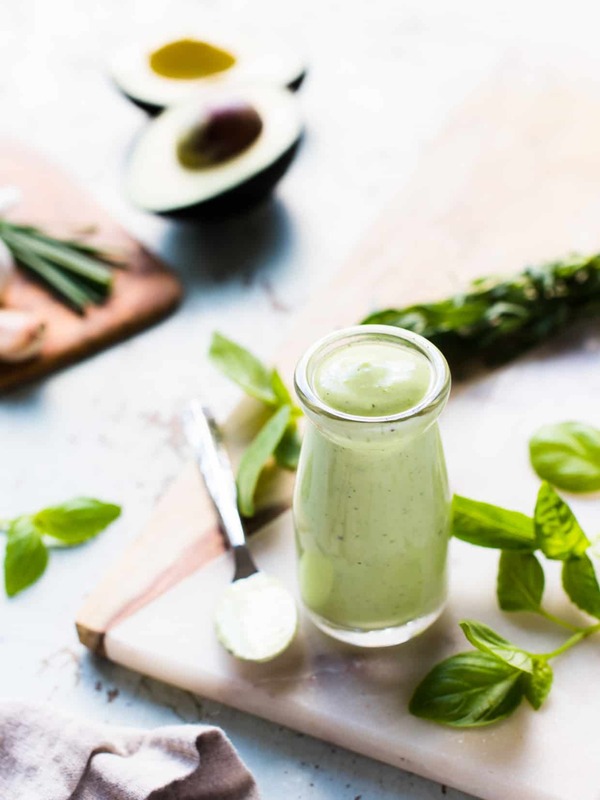 Avocado Buttermilk Green Goddess Dressing – this mayo-free green goddess dressing recipe is extra creamy thanks to healthy avocado and buttermilk! My son discovered Bob Ross on Netflix. And he is utterly captivated. “Mom, isn’t it funny that of all the colors Bob Ross uses, he only uses one color for white? Titanium White is his favorite!” he mused after binging on a couple of episodes. We started chuckling at all the happy little trees and, my son’s favorite, his signature closing, when he would say, “God bless,” and wiggle his fingers at the camera. It brought back a flood of memories to when I was his age, and I was equally mesmerized with Bob Ross’s soothing voice and the worlds he would create in the span of 30 minutes. We talked about yellow ochre, and van dyke brown, when I wondered, what was his favorite shade of green? Right now, green is all I am obsessing about. Our happy little hills here in Northern California are brilliantly green, and I wonder if Bob Ross had ever been inspired to paint them in his lifetime? I crave more green in my food, and in my salads, and in my salad dressings. 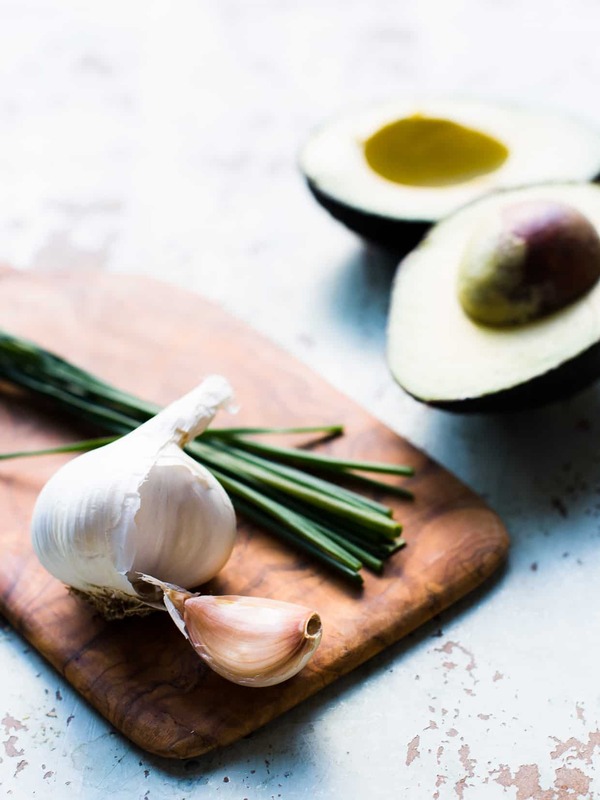 I thought of my green goddess avocado toast this week, and decided it was time to put the two together into a healthier version of a classic green goddess salad dressing. 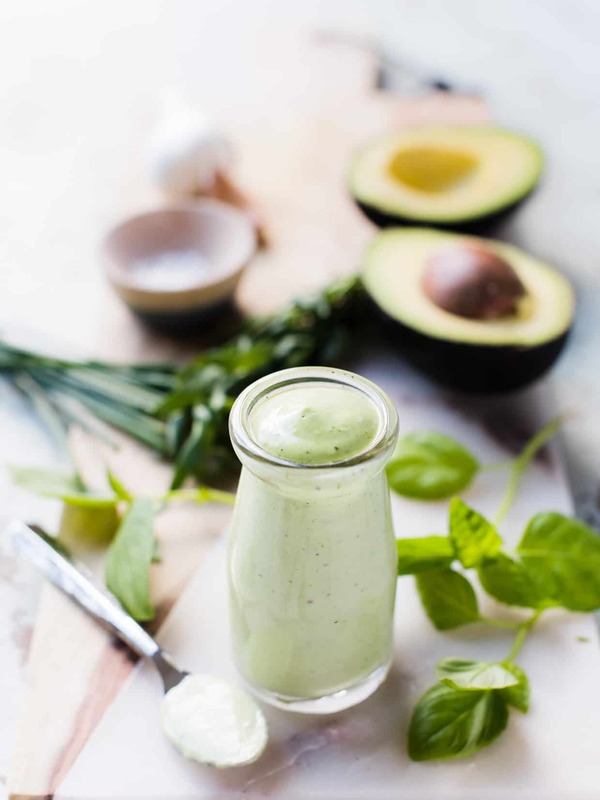 Tang from buttermilk and the creaminess of a ripe avocado replace the usual mayonnaise in this dressing, and the fresh basil, tarragon and chives give it a hint of the springtime I’m craving. I know you’ll love drizzling it over all your favorite salads, and I should let you know that it’s equally delicious drizzled in my favorite veggie wraps, too! I hope this dressing brings you light, my friends! 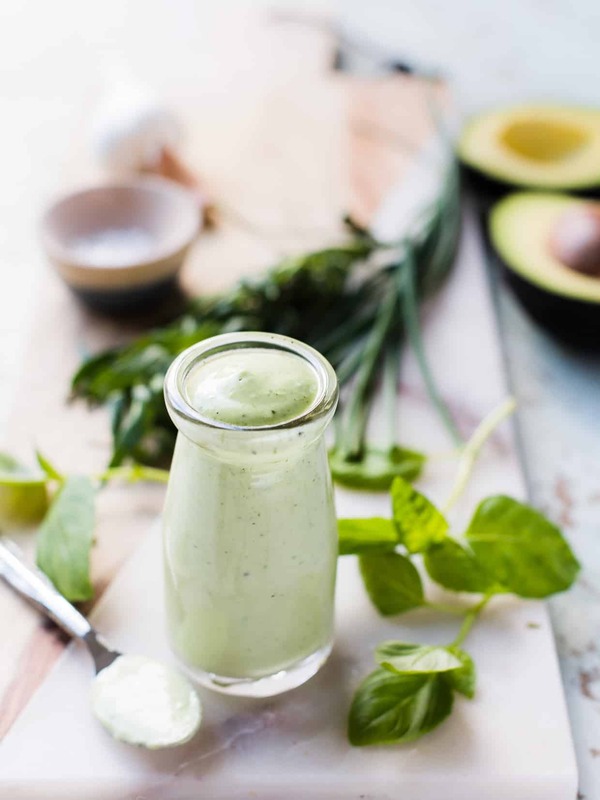 Creamy Avocado Buttermilk Green Goddess Dressing – this mayo-free version of a green goddess dressing is extra creamy thanks to healthy avocado and buttermilk! In the jar of a blender, blend the garlic and buttermilk until smooth. 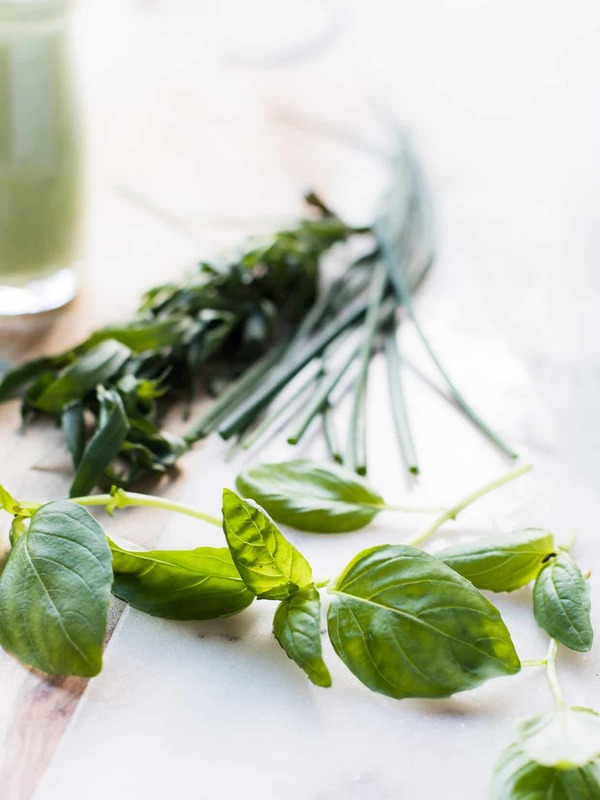 Add the avocado, basil, chives, tarragon, anchovy paste, lemon juice, salt and pepper, and blend until smooth. If the dressing is too thick, add a touch more buttermilk until your desired consistency. Adjust seasoning with salt and pepper, to taste. Serve with your favorite salad. We’ve been doing lots of salads here lately and I think green goddess dressing needs to happen right away. I would love if my son took up painting! We need more happy little trees! 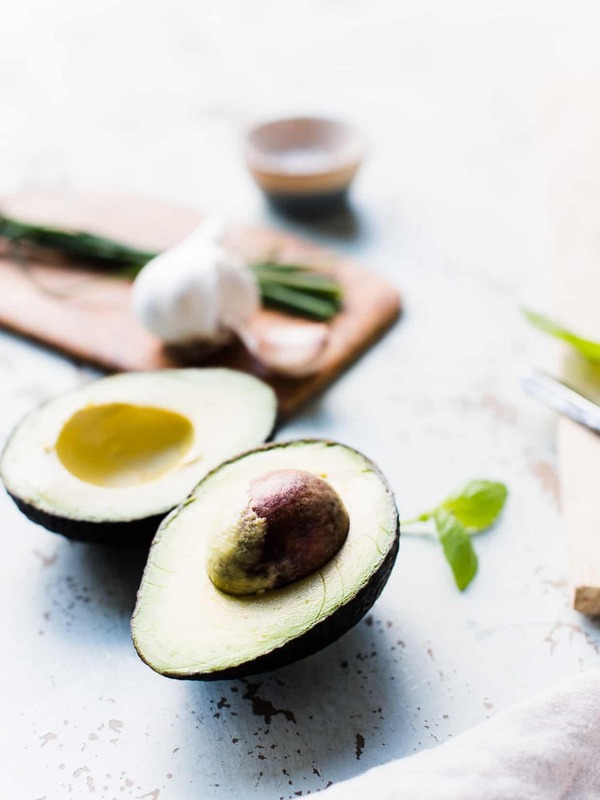 very interesting post, have never seen anything from Bob Ross, will have to check him out, love avocados and love the idea of using it as a basis for this dressing, thank you! I’m so ready for spring and all the salads – this dressing is perfect! We’re almost there — spring is just around the corner! The dressing helps to speed it up, that’s for sure. Sounds promising (without the anchovy and a CUP of basil), but I can see customizing this idea. Thank you for sharing. I hope you like it Coleen, it can certainly be customized to your liking. I do recommend the anchovy, though, it is very subtle and adds a touch of saltiness and umami! Enjoy!